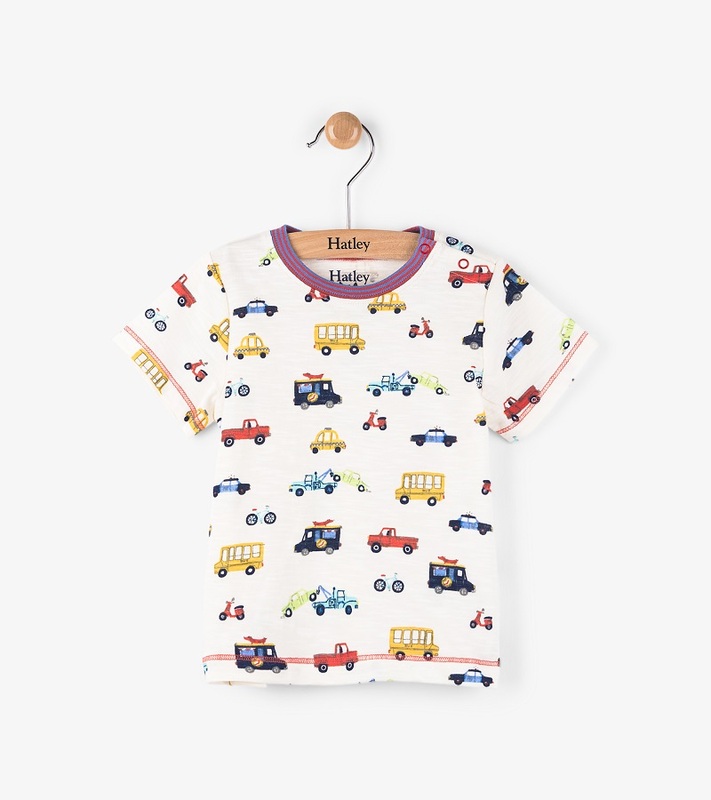 Cars, trucks, friendly critters and more are just a few things featured on these graphic tees. Paired with thoughtful details like contrast stitching and snap closures, you'll want to stock up to create cute outfits all season long. Pair this with our Deep Pacific Blue Mini Overalls for a cute outfit! Features: Snap closure on shoulder for easy dressing Machine washable. Made of 100% cotton by Hatley.